Vernon Hill is the most customer-driven banker who has tapped into the power of customer service experience to build one of the fastest growing financial institutions in the world. Metro Bank, in the United Kingdom, run by Vernon Hill, was issued its license by the government’s Financial Service Authority in March 2010. Metro Bank was the first high-street bank to receive such a license in over 150 years. Behind the scenes, the bank operations would astound most traditional bank executives. Metro Bank spend nothing on marketing, spends no money on advertising. It’s sole focus? Developing fantastic relationships with customers and utilizing word-of-mouth as its primary driver in new customers. Metro Bank’s customer experience speaks for itself. Its call center is always open and is staffed 24/7/365. Call them on Christmas, Thanksgiving, or Easter and you’ll speak to a live human being ready to help with anything a customer needs. In addition to its online and call center services, Metro Bank also breaks the traditional mold of financial institution branch locations. Metro Bank is open well into the evening on weekdays and weekends. Plus, it’s also open on Sundays. 40-hour schedules are not enough. Metro Bank is open 78 hours each week because it knows that they’re in the business of acquiring customers. And to acquire customers you need to be ready, willing, and able to acquire them, whenever or wherever they may be. If you’ve ever arrived at a store or business a few minutes early to try to be first in the door to conduct your business, you’ve probably always thought, “Couldn’t they just open a few minutes early? I’m here already and willing to do business. I’m ready to spend money.” Maybe not, but I certainly do. One of my favorite policies of Metro Bank is its 10 minutes policy. Every Metro Bank branch opens 10 minutes early and closes 10 minutes late, just to make sure that they can squeeze that extra few minutes to help its customers. But it’s not just the hours and service channels that set Metro Bank apart. Metro Bank simply outperforms its financial competitors in the work that they do for their customers. I say “innovative” because many of these simply make sense. Leadership at Metro realizes that in order for the organization to success in the financial business it needs to excel in the people business. As the organization relies on new customers and continued customer loyalty, the institution truly is in the business of acquiring and retaining customers. Too many executives miss this truly critical point that makes the inner cogs of corporations turn today and keep them turning day after day. Too many fail to realize that in order to succeed in their industry, they need to see themselves as being in the people business. To connect with new customers and develop existing customer relationships, you must be in the people business. To get the most from partners, supply chain providers, or production contractors, you must be in the people business. To inspire and motivate employees to perform at their best and generate maximum efficiencies in operations and services provided, you must be in the people business. Vernon Hill is one of the most customer-focused and driven bankers in the world. Perhaps, one of the most successful too. Hill and the executive leadership at Metro Bank haven’t reinvented customer service experience. They’ve simply developed a cohesive and sensible customer service strategy for its financial operations. Much of what Metro does just makes sense, when you really care about the people they serve. 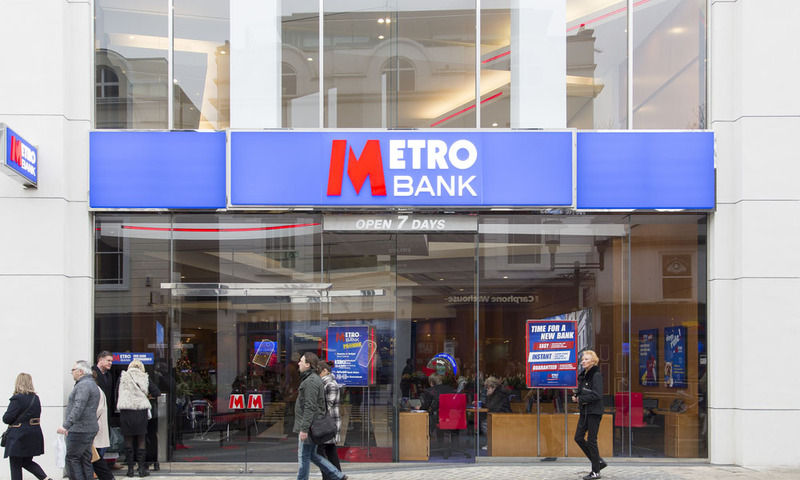 While many financial institutions continue to lag in industry service reports for customer service, Metro Bank is thriving and enjoying fantastic growth numbers despite a stagnant industry. The Metro model is a great example of customer service experience management in practice and demonstrates the power that innovative customer service can make in an industry. Partecipa a: Realizzare una Customer Experience memorabile!